CLOSER and CLOSER – ONE week left before the Summer Camp starts. OMG, ONE week to go………….! Are you ready for Monday 7th August 2017 when the one and only Infamous West Midlands Performance Centre Summer Camp starts. Along with Lorraine Cole, JULIA MANN (GB and England coach) will be supporting Lorraine in the training sessions during the three week schedule. You need to be prepared to work hard as there will be NO prisoners, these sessions will be well SICK……….LOL. If you are signed up to the camp then consider putting in to practice all that training by entering the SENIOR Bronze (where you can enter ALL three disciplines). AND/OR enter the TEAM TOURNAMENT (4 players per team with a combination of male and female), something different for the Summer……! Comments from resent Summer Camp participates as they talk to Peter Clegg, Andy Wainwright, Joe and Keerti. All looks and sounds inviting, then don’t waste any time as there is less that one week to the camp………. Then enter yourself into one or both of the tournaments. YES – ONLY TWO weeks left before the Summer Camp starts. Time is running out as August 7th is less that TWO weeks away. The first day of the infamous West Midlands Performance Centre Summer Camp for 2017 is getting closer. Lots going on in August………..! Not only is there the three week coaching at the summer camp but there is also the TEAM Tournament on August 19th and then the SENIOR Bronze on August 20th giving you a badminton packed weekend. This weekend is where you can (in some cases) put in to practice all the skills and training that you have picked u from the likes of JULIA MANN. Yes, Julia Mann the coach that trained the GB and England players. Bringing all of her knowledge and a different coaching skills to all three week of the Summer Camp. Less that two weeks and all this can be yours. Details along with booking forms can be found HERE. The PC extends a Massive Warm WELCOME to it’s latest NEW coach…….! Julia Mann is a welcome addition to the Performance Centre’s pool of coaches. See joined us a few weeks ago and is already marking her mark. 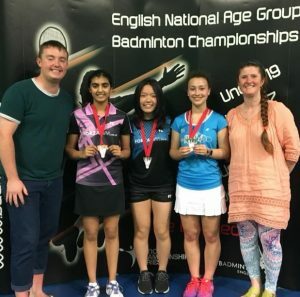 Julia has been working at Badminton England with the GB team and England squad for some time and is now moving up to the Midlands to join us at the WMPC. Take a look at her profile HERE. She has been working mainly with the Developing and Emerging groups and has already undertake several 1-2-1 sessions with players who enjoy her sessions immensely. Really excited that she working along site our head coach Lorraine Cole for the whole of the Summer Camp. Having spoken to her today she is always keen to work with players who concentrate and push themselves during sessions but also listen to her suggestions and working on implementing them into their game/training. 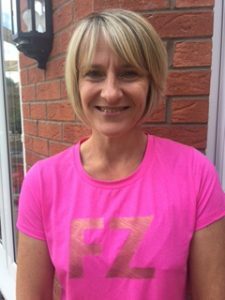 Julia has been working closely with ForzaWM and is now sponsored by them. Congratulations Julia. ForzaWM is a local online badminton clothing and accessories specialist who support the PC. It is going to be a pleasure working with her at the Summer Camp 2017. I am certain, I am going to enjoy it more than the players. WMPC sees RAW Success with a Silver. The PC entered two teams into the Inter PC in Manchester. 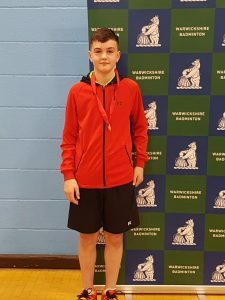 For the last few years the WMPC have entered several teams into the event held over two days for the various Badminton England levels in each Performance centre. The levels being Raw, developing and Emerging. This year was no exception. The PC sent two teams in this category. Team 1 Dan, Zafer, Rahman, Joe and Sana.Team 2 Abdur, Arush, Vaibhav, Rhea and Reva. Format was 5 games per match, each game going to 21 plus setting, with the game order being Singles, Doubles, Singles, Doubles,Doubles. Each match would produce a winning team. All of the teams were split into groups. 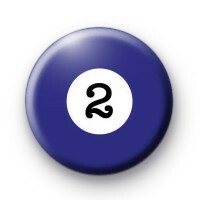 Team 1 in a group of three and Team 2 in a group of 4. Depending on the position achieved in the first round groups, this dictated the on which group each team went through to in the next round and consequently which position each team played for. Team 1 first round was in a group of three teams, of three groups.. Team 2 was a similar format three groups but consisted of 4 teams..
Let pay begin. Not know what the strength of the opposition it was hard to pick the right team for each match. But saying that the idea was not necessary to win each match. (although it would have been nice), the idea is to give each player match experience. So teams picked giving each player at least one singles game. Team 2 had some really tough opposition, the first round saw some close game wins 22-20, 21-19 and some close losses, 19-21,21-23, 21-23. They all fought for every point and concentration was key. A couple of the players I have not seen for a few months and was really impressed on their improvement. It was great to see. They got through to the second round to play for positions 4-7. Sadly the opposition were strong so we got 6th place. They did really well. Team 1 again had some tough opposition, but managed to finish the first round as top of the group.So the second round saw them playing for one of the medal positions so RAW success was almost guaranteed. They had a sit off for the first round and watched Cumbria fall to a strong Potteries team. We played Cumbria next and bat them. So now playing for Gold or Silver the pressure was on, in what was effectively the final. The two singles games did not go as well as hoped, with heavier that expected defeats. They redeemed themselves in the first doubles. 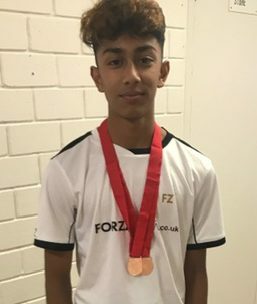 With two doubles left to play and the games score at 1-2 down we needed to win both to get gold. 17-21 saw the Potteries take the match 1-3 with the last game still to play. A close with 21-19 left Team 1 with a 2-3 defeat and Silver. Well done all on your RAW success. I hope you all enjoyed the experience.